Step 1: Accept that your old Marshall AVT50 hybrid amp has a noisy fan. Assume it is irreparable and convince yourself that you should get a new amp. Step 4: Do all the research on the legendary Beatles/Queen/U2 amp, the Vox AC30. Determine it is way too loud for your home and way too heavy for your back. Abandon those Beatles/Queen/U2 tone dreams. Step 5: Remember they make an AC15. Do all the research on the Vox AC15. ALL OF IT. Step 6: Find out they make AC15s in limited-edition, Dan-compatible bright colors like red and purple. Spend the rest of the day looking for anyone who still has these in stock. Find a purple one, with a vague description and without a photo, so you’re not really sure. Step 7: Immediately get paranoid that what you really want is a Fender because what if you want a Fender? Step 8: Start looking for the Fender Hot Rod Deluxe III because you heard somewhere that they’re great and they “take pedals well.” Do all the research on the Fender Hot Rod Deluxe III. ALL OF IT. Step 10: Locate the one local store that has both an AC15 and a Hot Rod Deluxe in stock. It’s not the store with the purple one. Grab your main guitar, the one you intend to use the most with this amp. Step 11: Go to the store with your guitar and announce that you are here on a fact-finding mission, and you do not intend to buy anything today. The salesman will hear “I want to buy an amp today” and attempt to close the sale immediately. Step 13: Decide both sound excellent. Express a slight preference for the AC15. Fend off the salesman’s renewed attempts to sell you the amp today. Step 14: Go home and think about what you experienced. Ask yourself: Did both amps “take pedals well”? Step 15: Mention to friends that you are considering buying an AC15 because the Hot Rod Deluxe III was too much in all respects. Accept their recommendations of a Blues Junior instead. Step 16: Do all the research on the Fender Blues Junior. ALL OF IT. This includes finding out that they also make it in fun limited-edition colors. Step 18: Check your friends’ updated advice in the meantime. Write down the names of the four completely different amps have been offered as alternatives to the AC15 and Blues Junior. Note how much more expensive all of these options are in comparison to your budget. Step 19: Sell one of your guitars. Convince yourself this is a good reason. Step 21: Give up. FQ,S. 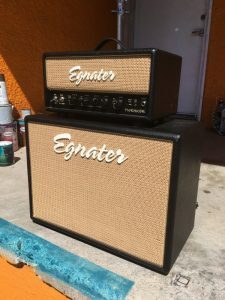 Step 22: While closing windows of all your previous research, casually notice the existence of the Egnater Tweaker series, which is designed to sound like Fender, Vox, and Marshall amps via small toggle switches. Step 23: Do all the research on the Egnater Tweaker. ALL OF IT. Find the owner manual. Watch the video as the man who made it explains how it works and why he built it. Step 25: Realize this is probably the thing you’ve been looking for all this damned time. 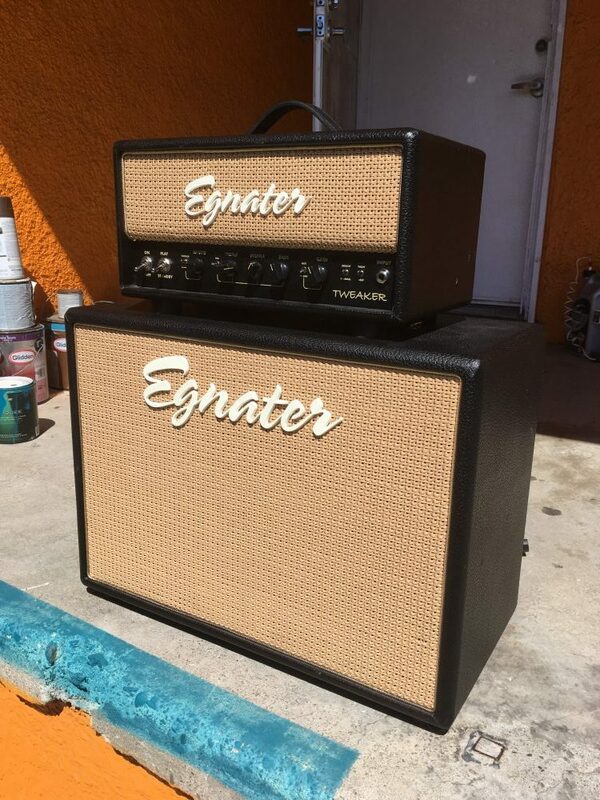 Step 26: Locate a used Tweaker 15 head and matching 1×12 cabinet at a local guitar store. Get super paranoid that someone else will get it first. Step 27: Go to bed. Barely sleep. Step 28: Arrive at the guitar store with your guitar when the store opens. Step 29: Plug in. Play. Try all the switches and knobs for a good half-hour. Step 30: Fall in love. Step 31: Physically stand guard over the amp so nobody else can buy it. Step 32: As you get checked out, smile when the sales associate says “It’s about time someone bought that. It’s been here since July.” Assume this means it was waiting for you. Step 33: Live happily ever after.